Finally we are at the real thing that you really need to know. The first setting that you will use on your camera on a daily basis: Aperture. The aperture is always located in your lens and NOT in your camera body. The aperture is the first mechanism that controls light reaching your media. 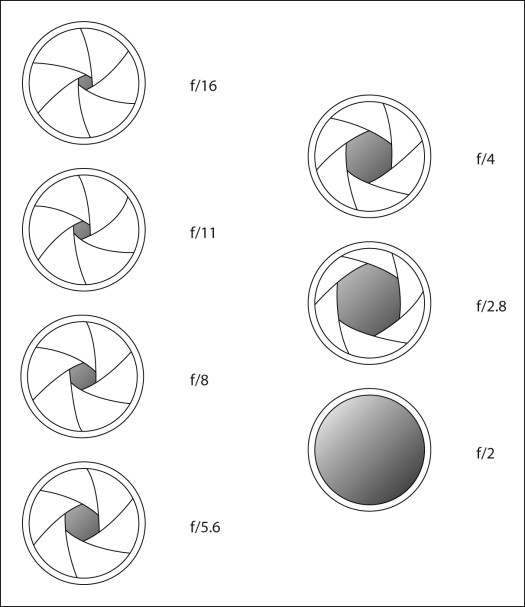 The aperture is a circular variable size protection layer, mostly made of metal. The size of the aperture is given as an f-stop formula e.g. : f/4. The f stands for your lens focal length. 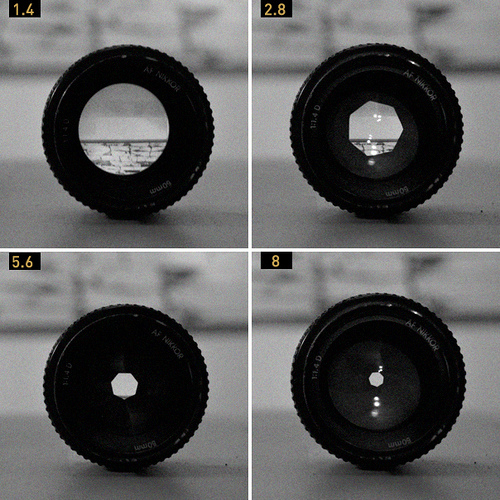 If you divide your focal length by 4 you will get the current aperture size in mms. E.g. : your focal length is 100 mm and your aperture is set to 4, your resulting aperture size will be 25mms. Aperture does not just control the amount of light reaching your media, but it also controls the way it is reaching your media. If you set a large aperture (which is a small value e.g. : 1.8) you will have a smaller depth of field. If you set it to a very small opening you will get a larger/longer depth of field. But this topic is explained in a later section. Aperture is responsible for the amount of light entering your camera and the depth of field that can be taken up by your lenses.